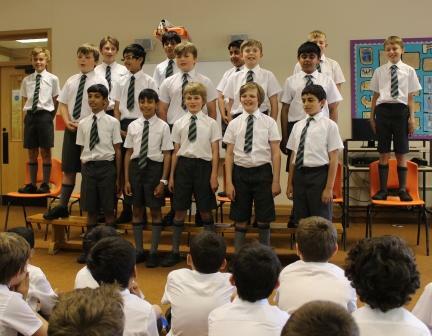 Only a short time ago, our Year 6 boys presented their farewell assembly to parents, staff and the rest of the Boys’ Junior School. They began by explaining that one goodbye is the start of another hello, and whilst today may seem a rather sad day, they must take away many happy memories from their time spent at Beardwood House. 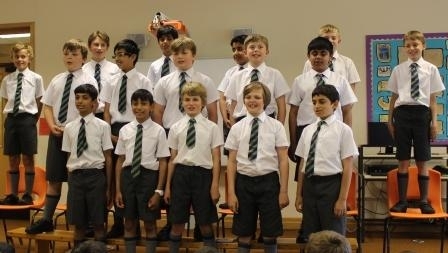 The boys took us on a journey through each year, speaking of many favourite moments, from Mr Harrisons bad jokes in Year 4 to affectionately referring to Mr Haworth as ‘Baldilocks’ in Year 6 and lots more in-between! 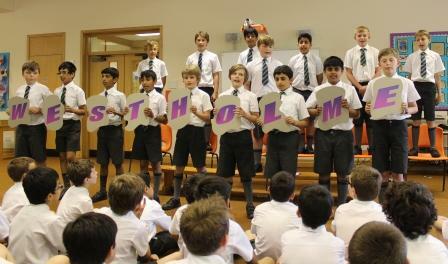 Memories were shared and all boys knew that this was a special moment to remember at Westholme Boys’ Junior School. 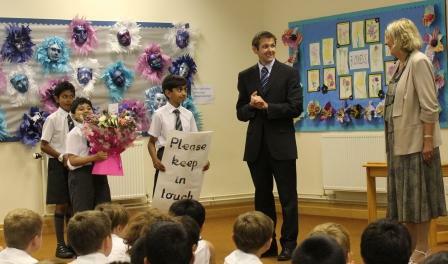 Mr Lewis also took the opportunity to wish Mrs Croston a happy retirement and presented her with some flowers, books and a card from the whole school. Best wishes to the whole class of 2013.